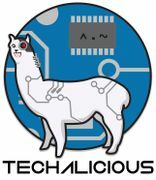 Geekalicious Presents Pubalicious v7.0 ~ Pub Night Extravaganza Bonanza! Let's Learn The Twitter API! ~ Coding with Python (Flask/Twython)­ & Bootstrap!